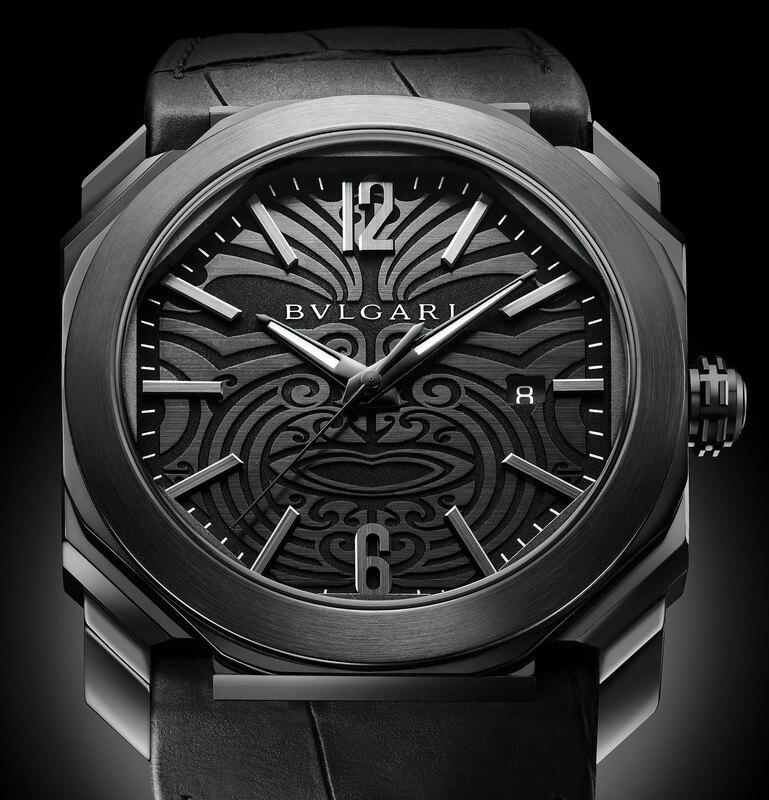 Is this all black edition of the Bulgari Octo the coolest watch you’ll never own? There’s a lot of love for the Bulgari Octo in the Time+Tide office. Especially the blue version. Its good looks, classic Genta shape and case design, that oh-so-supple bracelet… It’s a cracker of a watch. But until recently we’d always seen the Octo as elegant and dressy. It never occurred to us that it might possess a dark side. The special edition Octo All Blacks 100 Club sets the record straight. 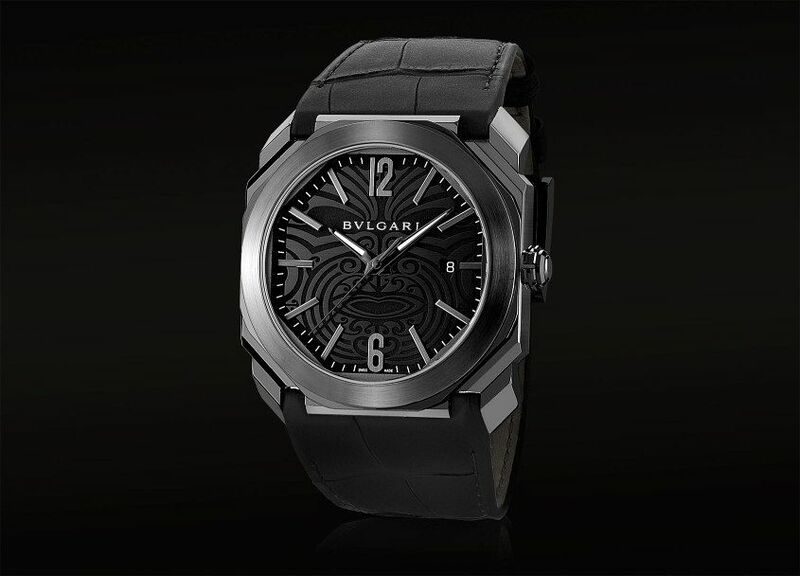 Bulgari are partnered with the iconic New Zealand Rugby team – and current Rugby World Cup champions – and this Octo is made to celebrate that alliance. But don’t go looking for it in the official All Blacks merchandise catalogue. It’s made only for the 100 Club – the elite few to have played 100 test matches in the black jersey. Of the current squad, four players have reached this milestone – captain Richie McCaw, Tony Woodcock, Daniel Carter and Keven Mealamu – each of whom was recently presented by Bulgari with their own Octo to celebrate the achievement. The smoked sapphire caseback is etched with the player’s name, number and the Silver Fern motif. The watch also honours ‘The Originals’ – the very first All Blacks team, whose 1905 tour of Britain saw them winning a crushing 34 out of 35 matches. Naturally, the watch is all black, its multi-faceted case treated with a black diamond like carbon (DLC) coating. This would be striking enough on its own, but it’s the dial that steals the show. Designed by Maori carver Tana Salzmann, the anthracite dial is etched with an intricate pattern of a Tā Moko, an important symbol not just for Maori culture, but also for the All Blacks and New Zealand as a whole.